*(during the appointment) the doctor's diagnosis and any medicine prescribed--this is helpful when you see a different doctor and they ask what medicines your child has been on already for long-term issues, or if you end up taking your child to Urgent Care for an ear infection or something that doesn't go away, and then you see your regular doctor for the next visit. 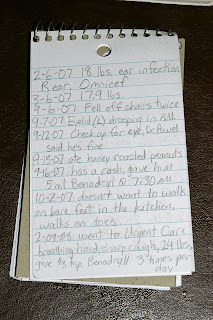 I TRY (and often forget) to also write in their notebook when someone starts throwing up or having a cough or fever at home because the doctor always asks how long the symptoms have been going on, and these things tend to be a blur after days of dealing with cleaning up after a sick child, sick child being VERY GRUMPY, sick child waking up during the night....and I write down any incident that I think could lead to a future doctor's visit: newly walking baby falling on his head multiple times in a day, any time someone falls/crashes into a wall/fights wrestles with a sibling and I wonder if it might lead to x-rays at some point, baby eating peanuts left out by siblings (possible allergic reaction), or anything I think is unusual (see below: drooping eyelid and walking on toes). For writing down appointments made at the doctor's/orthodontist's office in my portable calendar (planner?) I found one of those pens that has lots of colors. 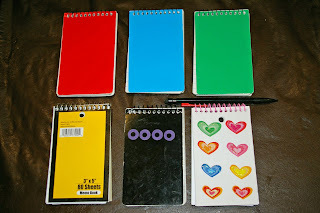 This becomes tricky if you have a large family because most of the pens I found had only 4 colors. I kept googling and eventually found one that had 10 colors on it! (Similar to this one.) It's not the best pen I've ever used, and some of the colors are light/not quite the right shade, but it works for keeping track of appointments made on the go (since I didn't want to keep 7 markers in my purse....although, my purse is already huge, so it probably wouldn't be too hard to keep the markers in my purse if I left them in their box...)! *Razor scooters conveniently came in our family colors! *Those big (basketball size), rubber balls the younger kids like to play with. *Bottles of bubbles--no fighting over who the bubbles belong to! *Picture albums--oh how I wish I had noticed (did they even exist then?) photo books when I started keeping pictures for the kids! *Popsicles--the dreaded, hated ice cream truck had whistle pops in our family colors; this halted any chance of people fighting over the whistle when they were done with their popsicle. Edit: I remembered something else! I just recently bought a bag of balloons because my kids will be entertained for HOURS a while if I give them a balloon every so often. BUT, I CAN'T STAND to hear "He/She's touching MY BALLOON!!!!" the whole time they are playing with balloons, so I purposely picked a bag that contained our family colors. When I pass out balloons, a person is only allowed to play with THEIR color of balloon. The family colours thing sounds so useful! Do you have any trouble with people wanting to switch colours? Cayt--Every now and then someone will tell me that they would like to switch colors, and I say, "I'm sorry. If we switch colors I won't be able to remember which things belong to which person, so we can't change them." I also tell them that I realize that their family color is not necessarily their FAVORITE color because sometimes their issue is that they think I think that it is their FAVORITE color. And if it isn't something I'm going to have to keep track of forever (like cookies, candy, anything they use once and are done with)they can pick any color they want. There used to be MANY, MANY discussions at my house involving someone declaring that they JUST! CAN'T! STAND IT! if they don't get the certain color of cup/plate/fork/bowl they want, but since we have started family colors, they have given up on that (THANK HEAVEN!). Cayt--I guess it helps if I explain that the entire reason I started using family colors is so I could keep track of which thing belonged to which person, blame the correct person for leaving their things out =), and stop fights! I do many things for the comfort and enjoyment of my children, but this one was to make life easier for ME, so they just have to adjust. They aren't usually too disappointed when I explain why we can't change the colors, and I remind them that they are welcome to pick out whatever colors of things they want once they grow up and move out of the house =). 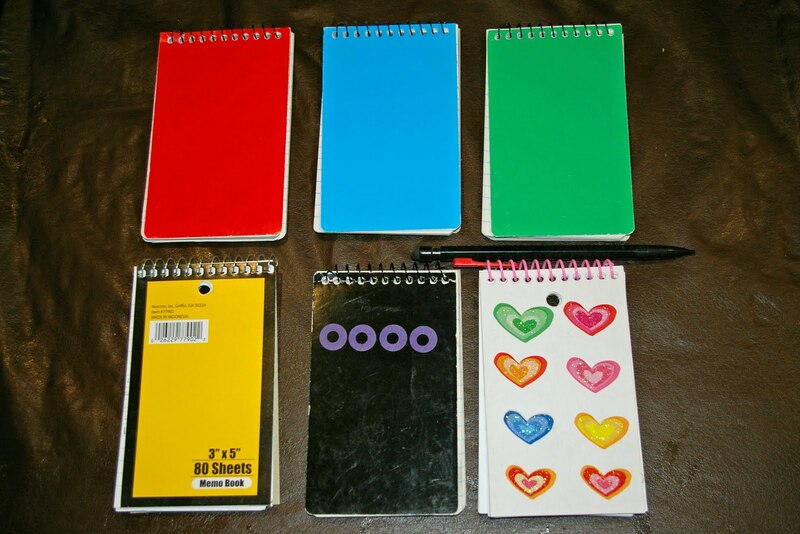 Love the notebooks for each child! With 3 children I'm constantly saying "I think this one had that ... or was it the other child?" Which results in the doctor searching their files or me guessing (usually incorrectly). 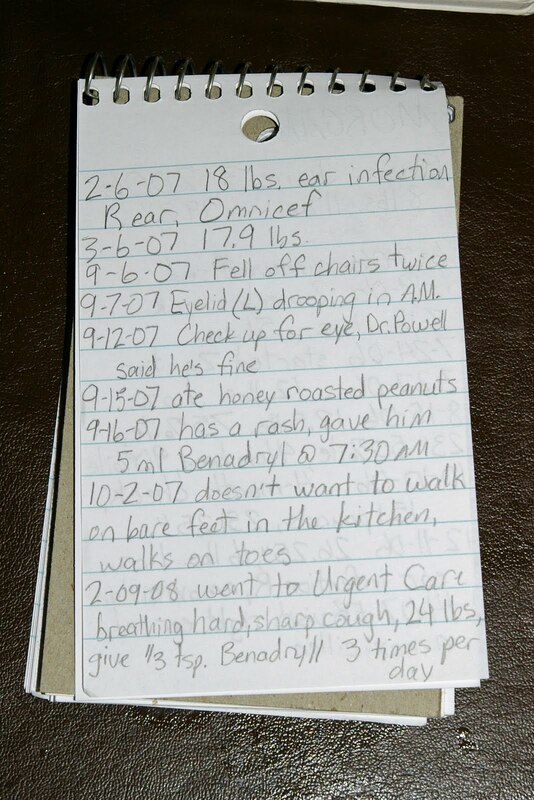 My mom had a notebook with our medical info and it's so cool to read through it all these years later! I started keeping a medical binder for all of my lab reports, medication dosage changes, expenses, and stuff like that, so when my son was born I bought a different binder for him! I like some of the stuff that you keep track of, though, so once we move and get settled in (and I get his binder out of the box!) I'll probably reorganize it to incorporate some of the stuff you have! Thanks for sharing it!